For the month of June the Boost Your Photography: 52 Weeks Challenge will be looking at different composition techniques. (Join the Google+ Community to share your weekly photographs and receive feedback.) The "Rule of Thirds" is one of the most commonly cited of the rules of photography composition, so it makes sense to begin here. This image of Castle Geyser is also available for purchase. 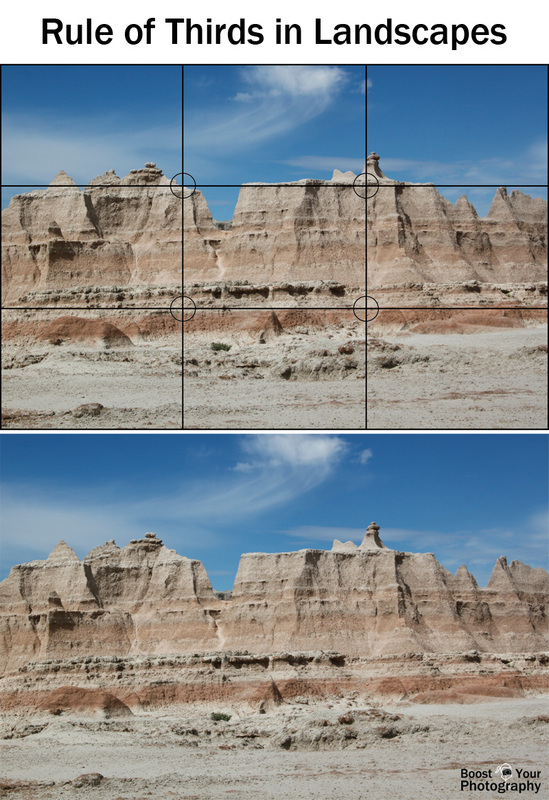 The Rule of Thirds is a simple piece of composition advice: take your scene and divide it into thirds, both horizontally and vertically. Now you have nine boxes and four points of intersection between your divisions. Use these points as guidelines for where to locate your subject within your photograph. With the photograph of Castle Geyser, above, you can see that the bottom third of the image contains the foreground and reflection of the geyser, the middle third contains the background and the geyser itself, and the upper third contains more of the sky. The peak of the spray is located near the upper-right intersection point, while the base of the geyser is located at the lower-right point. 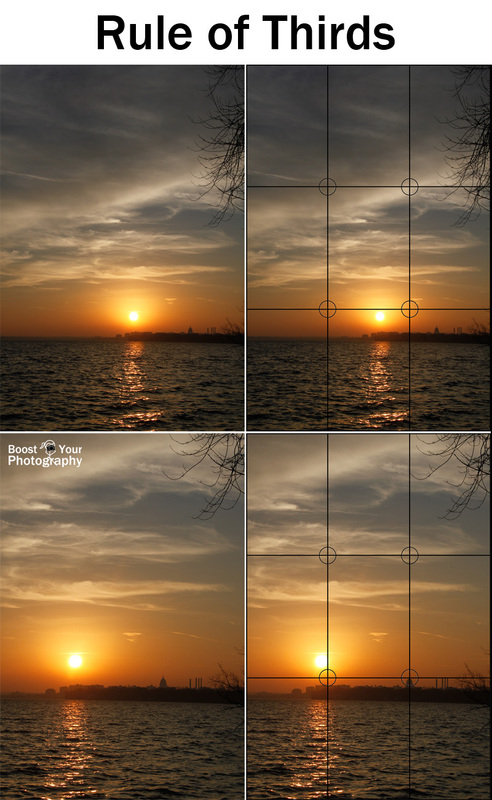 The graphic above offers a comparison of two different compositions of the same sunset, shot within a few moments of each other. 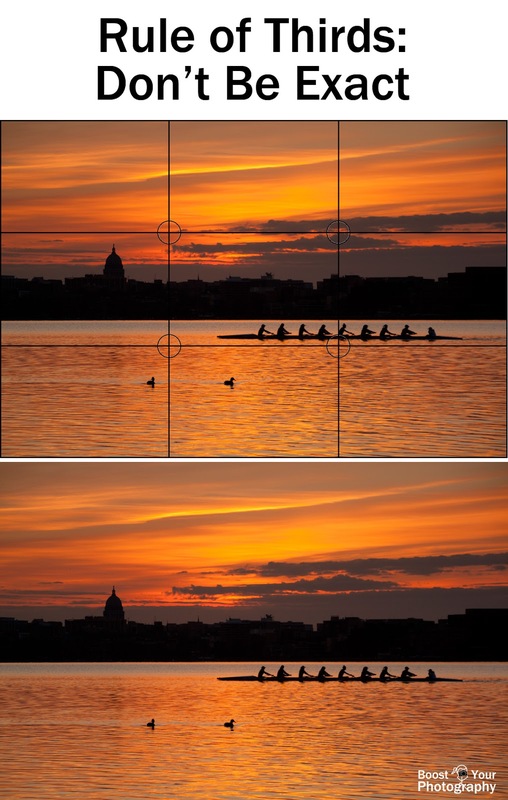 The top composition has the sun centered vertically in the image, while the bottom composition has aligned the sun and the silhouette of the Capitol building at the lower two points, according to the Rule of Thirds. This version provides a more balanced composition, placing the two main focal points equally within the frame. 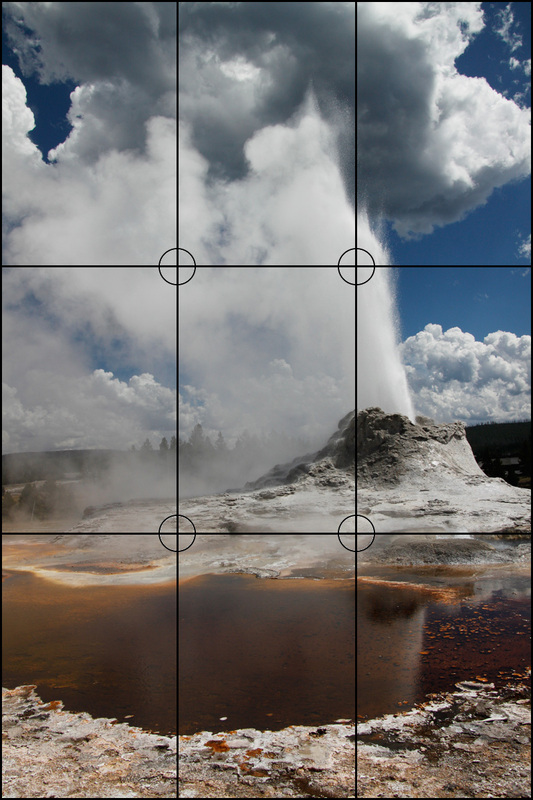 You can also think about the Rule of Thirds simply as either a horizontal guide or a vertical one. 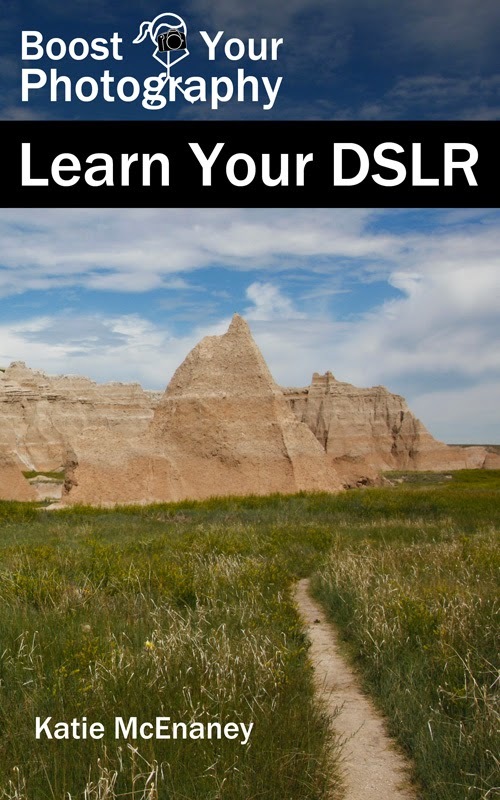 This photograph from the Badlands in South Dakota shows a rule of the horizontal Rule of Thirds: the bottom third contains mainly the gray rock, the middle third contains the formations, and the top third contains the sky. Locating the variations in the formations near the intersection points also helps add to the composition. You can also think about the Rule of Thirds after the fact. The original image was shot using the maximum zoom available to me at the time, and I knew that I would want to crop the image later to better emphasize the lone camel at sunrise. Using the Rule of Thirds, I chose the composition shown below, which brings much more focus and attention to the camel and also provides a good horizontal division between the foreground sand in the bottom third and the background formations and sky. As with any advice, the Rule of Thirds are meant to be "more like guidelines" than a strict answer for what you must do every time. With the sunrise silhouette image above, I placed the horizon firmly in the middle to balance the sky and the reflections in the clouds. 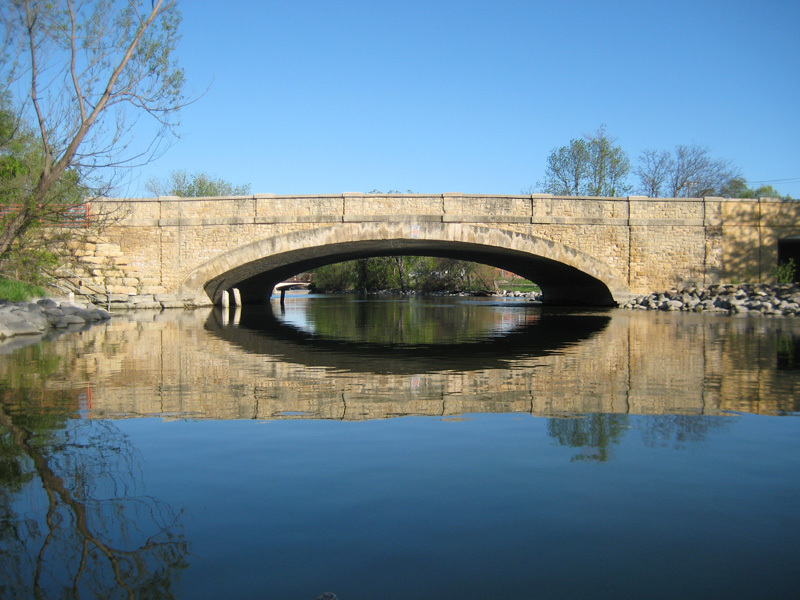 While the Capitol and the crew team are near-ish to the intersection points, it is not exact, nor should it be every time. Don't miss an opportunity to bend the rules ... or even break them!